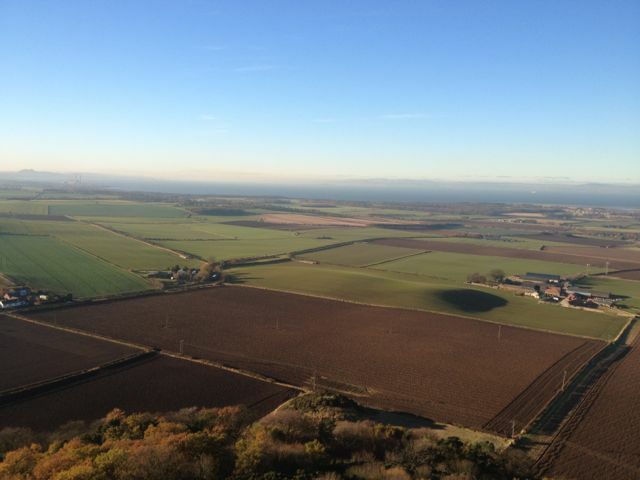 At lunchtime, on my way in to EL Council offices in Haddington the skive inspiration hit me and veered me off the A6137 at West Garleton to puff my way up Byers Hill and the 133 steps to the top of the Hopeton Monument. We don’t normally get such clear, still days here in the depths of normally dreich November; this was a special treat, well worth the skive. 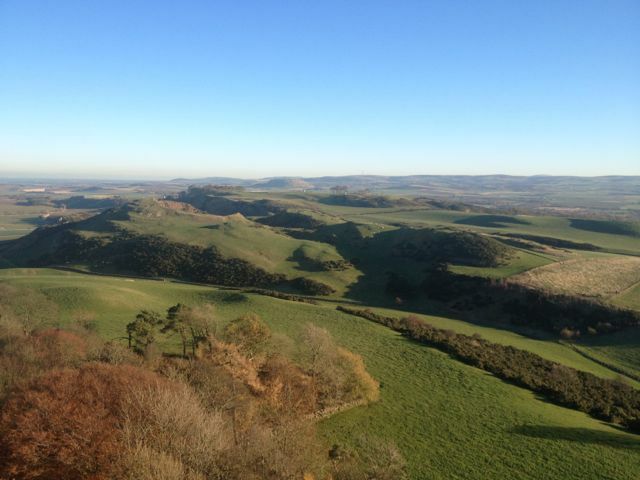 The car park is at the base of the hill and a good 50m below the summit itself. Use the kissing gate on the entrance road leading direct to the slope—the easier looking access at the end of the car park does not lead to the summit. 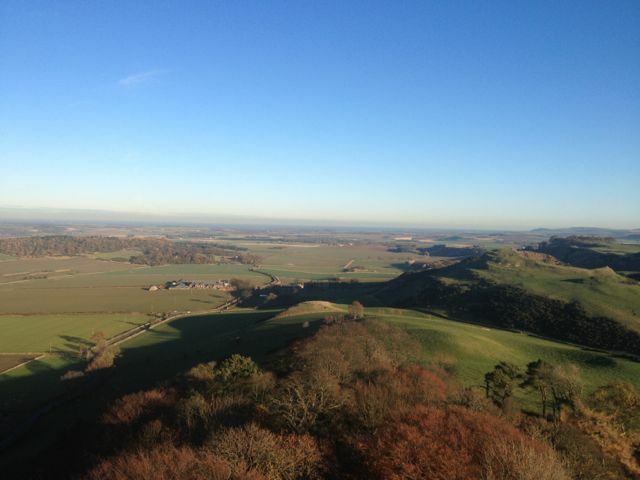 The views from the hilltop are good but not a patch from those at the top, so do make the effort to climb all the way. The entry is on the SE side with the size and pitch of the steps visible here so you can judge if you’re up for it. 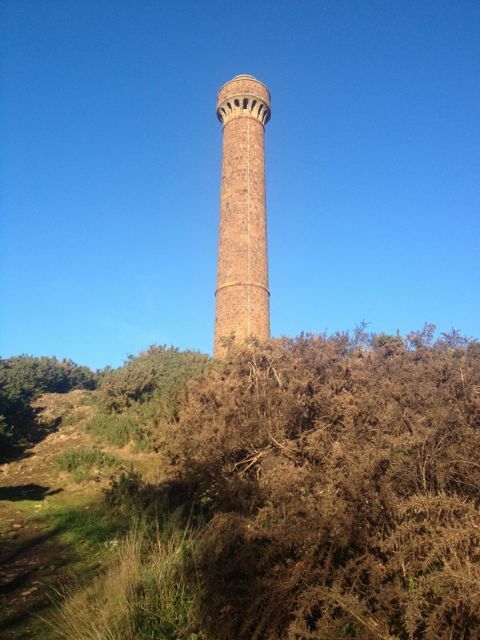 Be aware that the spiral stair is narrow and lit only by the odd slit in the stone walls so bring a torch. However, although the steps don’t get narrower as you go up, beware a crow’s nest in a slit just past halfway up (now apparently deserted). 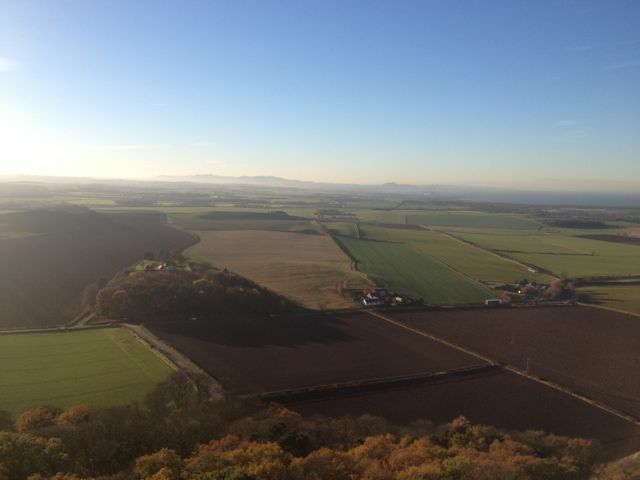 If cardiac arrest doesn’t get you first, the top offers the best 360 degree view in East Lothian (better than Berwick Law) because you can see virtually the whole county—as well as most of Edinburgh and much of Fife. 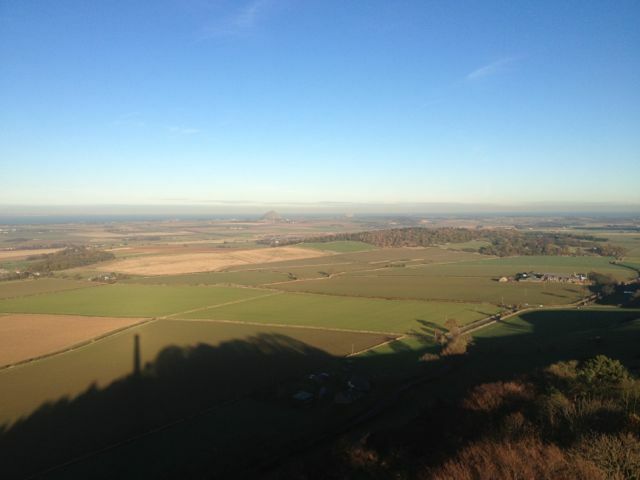 To the Northeast—Kilduff in the middle ground with Berwick Law and the Bass Rock in the distance. 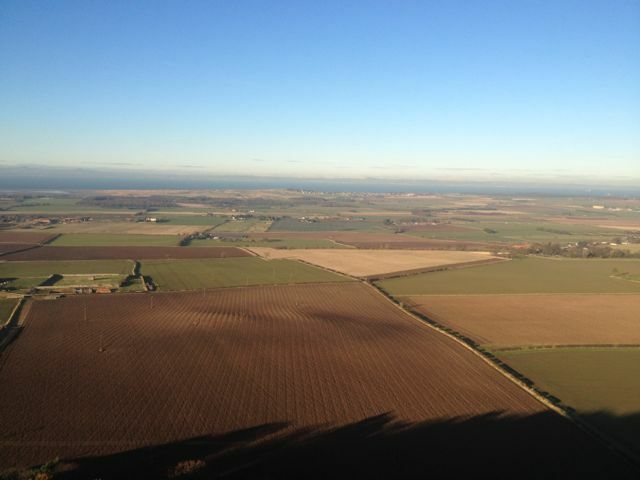 Other than how clear and pretty it all is, what is perhaps reassuring after scanning all round is an unspoiled rural nature of the view: all towns lost in the distance; only fields and far hills dominate the landscape in every direction. 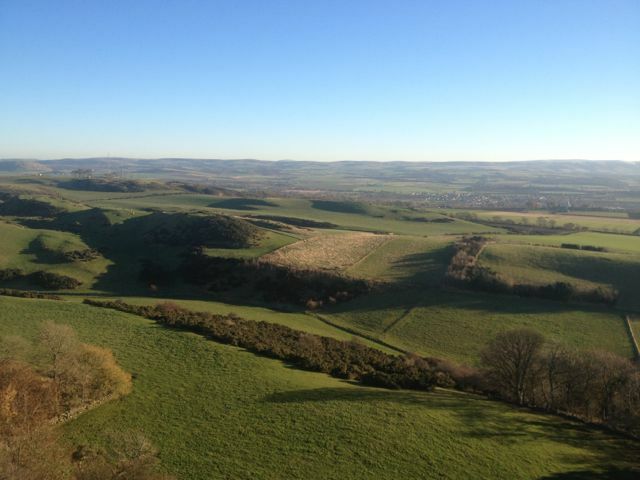 Any developer hell-bent on breaking the so-far-intact DC1 policy of East Lothian Council’s Planning Department should perhaps be taken up the monument and shown this view. If they have any soul, they will relent. Otherwise it’s a really good place for justice by defenestration. 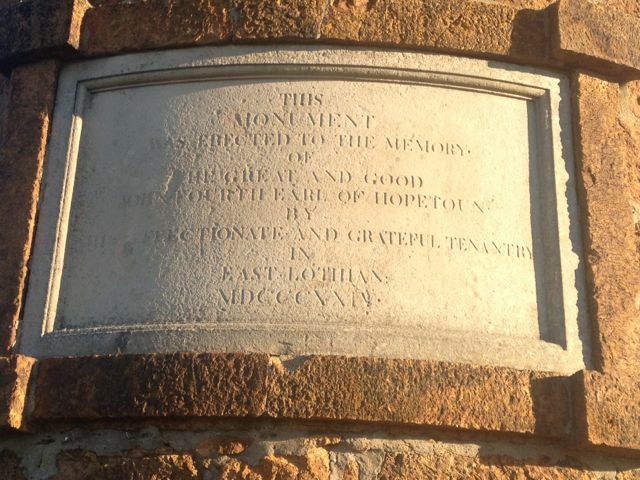 This entry was posted in Environment and tagged East Lothian; panorama; Hopeton Monument. Bookmark the permalink. 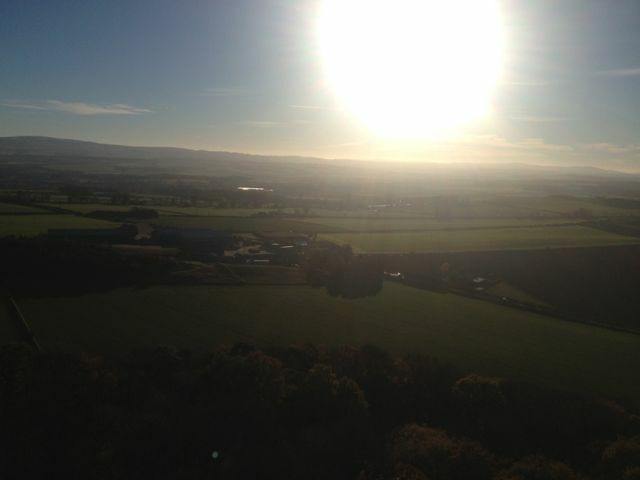 Fantastic day – If you look closely at the ‘South West’ photo – that’s me on the top of Lamer Law at the same time !